Arial view of Camaguey. 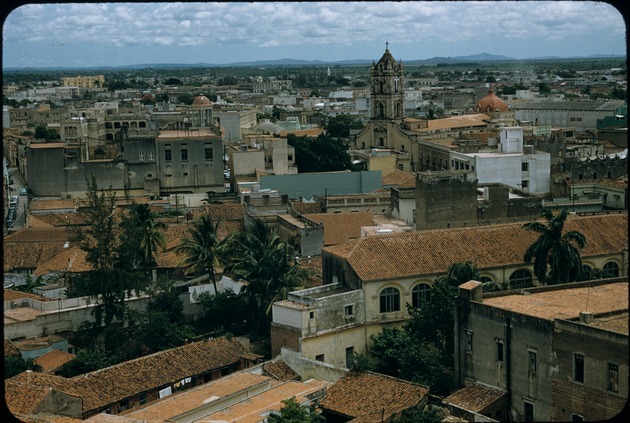 Visible are the red tiled roofs common in the city centers of most Cuban regions. On the top right one can see the tower of the Iglesia de Nuestra Senora de la Soledad.